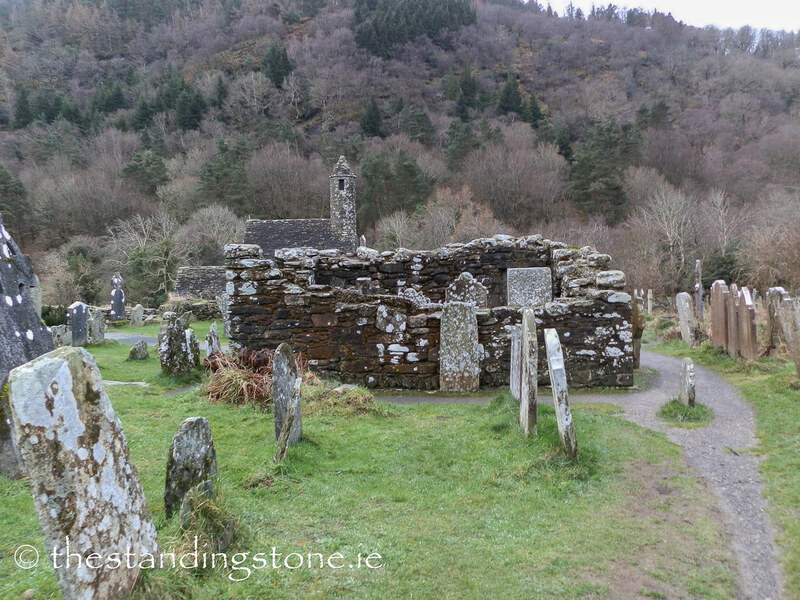 The Standing Stone: The Priest’s House, Glendalough, Co. Wicklow. 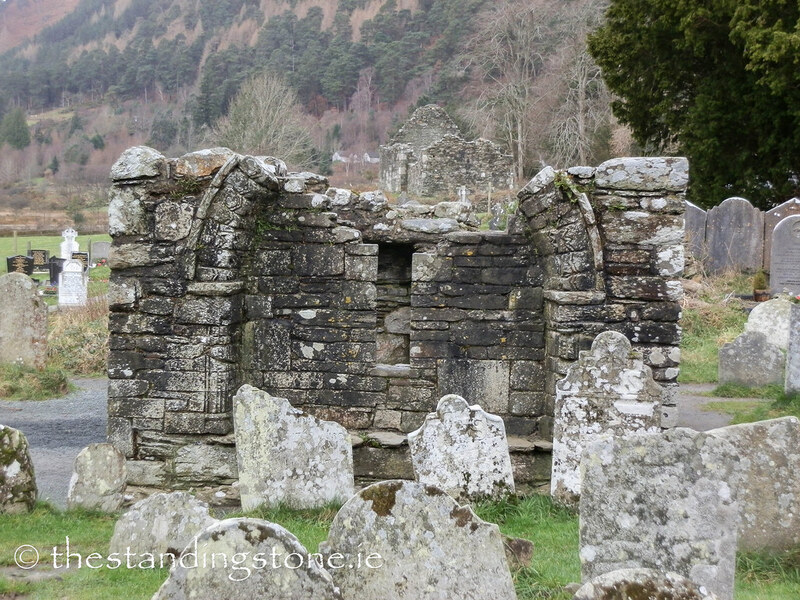 The Priest’s House, Glendalough, Co. Wicklow. 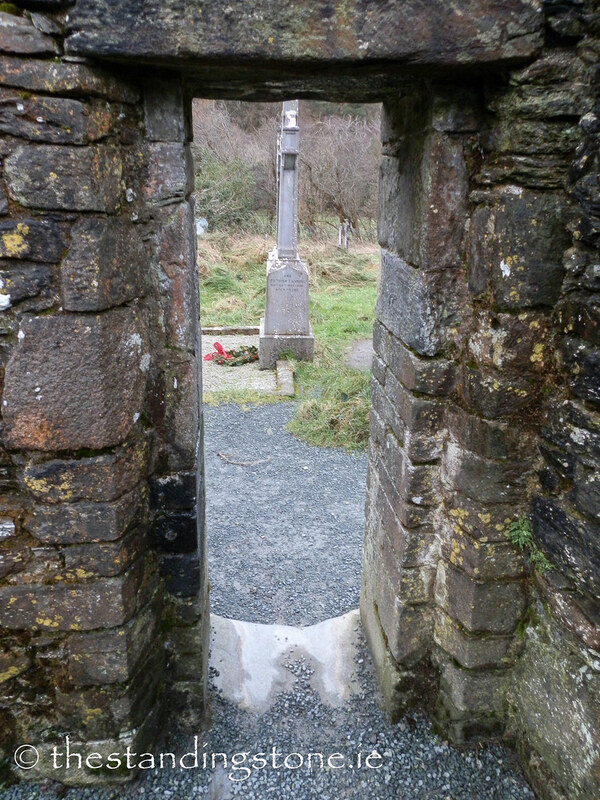 Location – Part of the main complex and not far from the round tower. 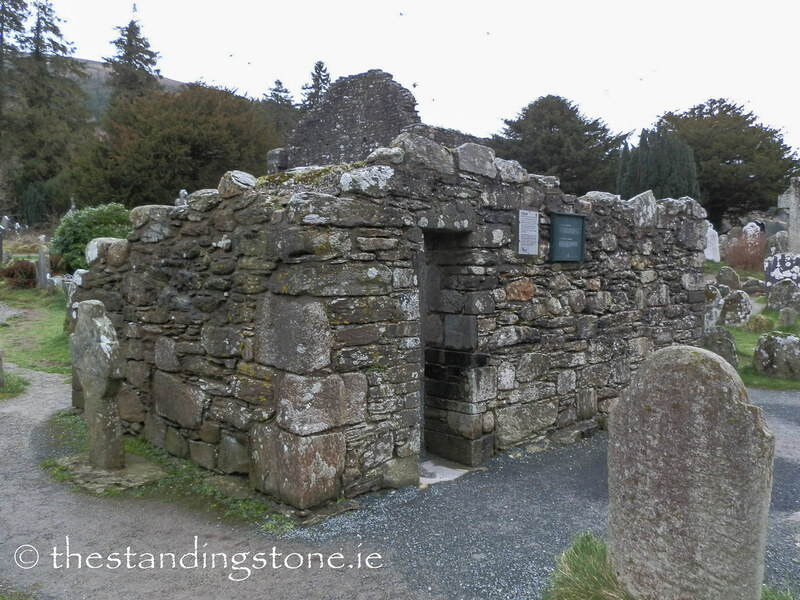 Description and History – This little building is a bit of an enigma as is it not clear what its original purpose was. 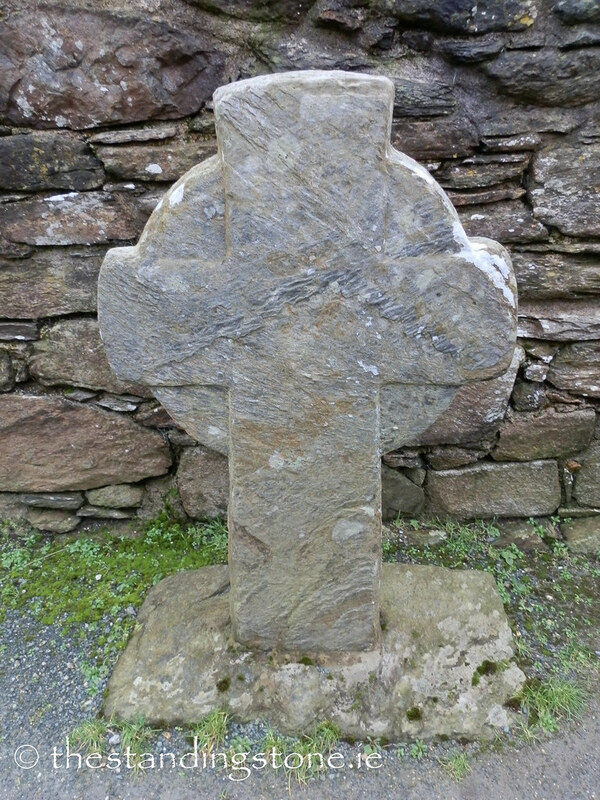 It had largely been reconstructed in modern times using the original stone based on a sketch from 1779. 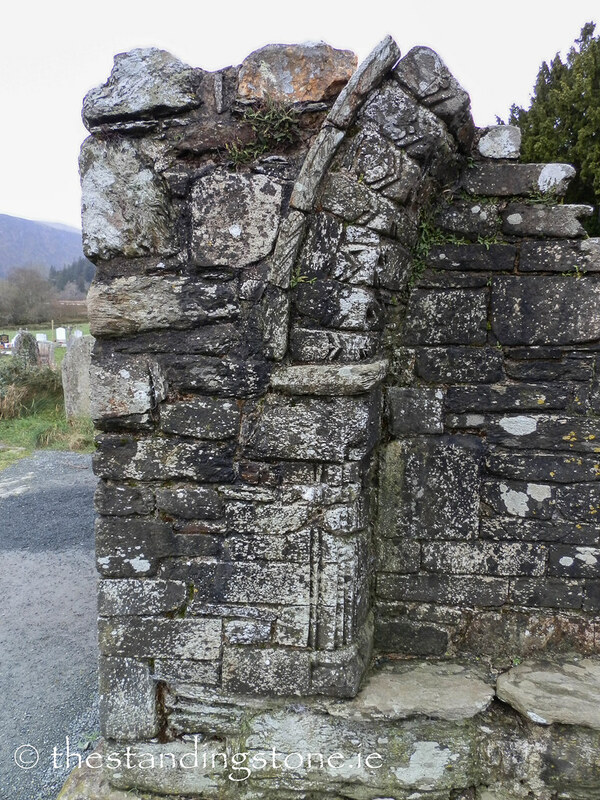 It is built in the Romanesque style and has the remains of a finely decorated arch. 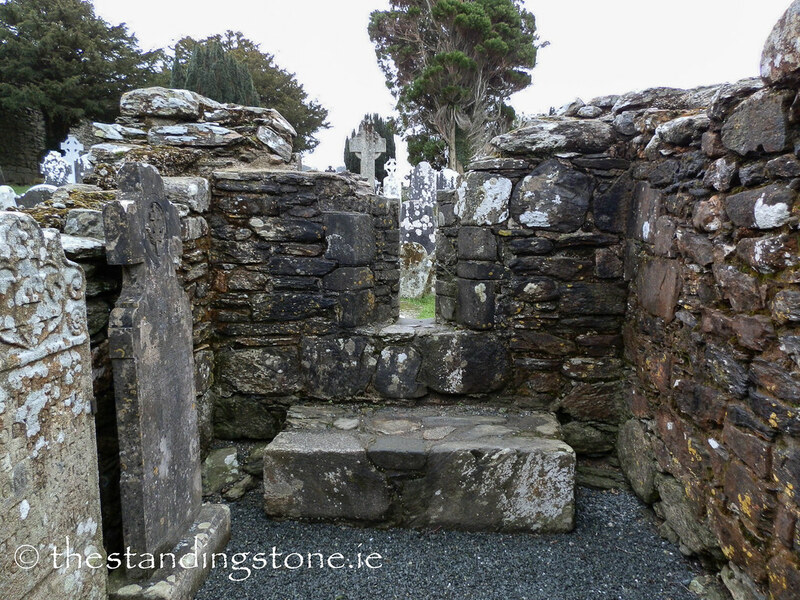 In the 18th and 19th century priests were buried under its floor, hence the modern name. 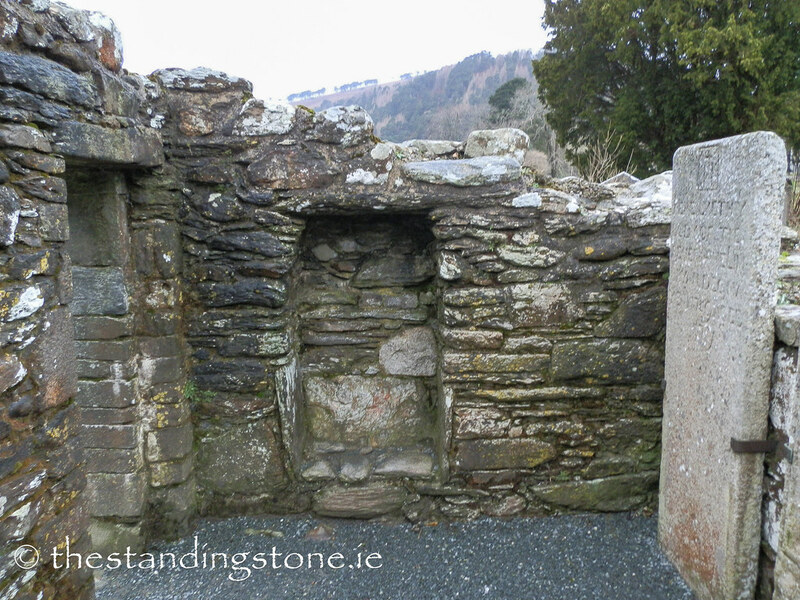 It has been suggested that the building sits over the grave of St. Kevin or that it was used to house his relics. 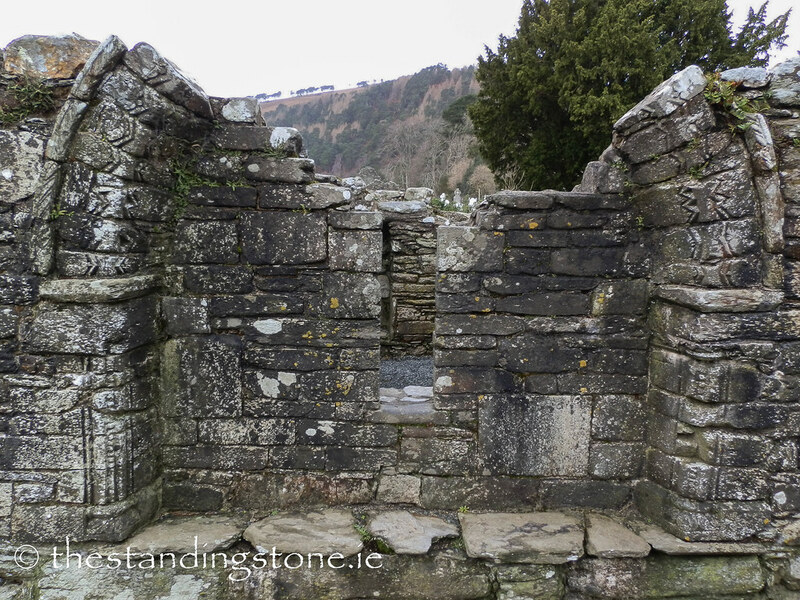 There is also a tradition associated with the building which says that the clay from the floor inside the building will cure toothaches if rubbed on the jaw. 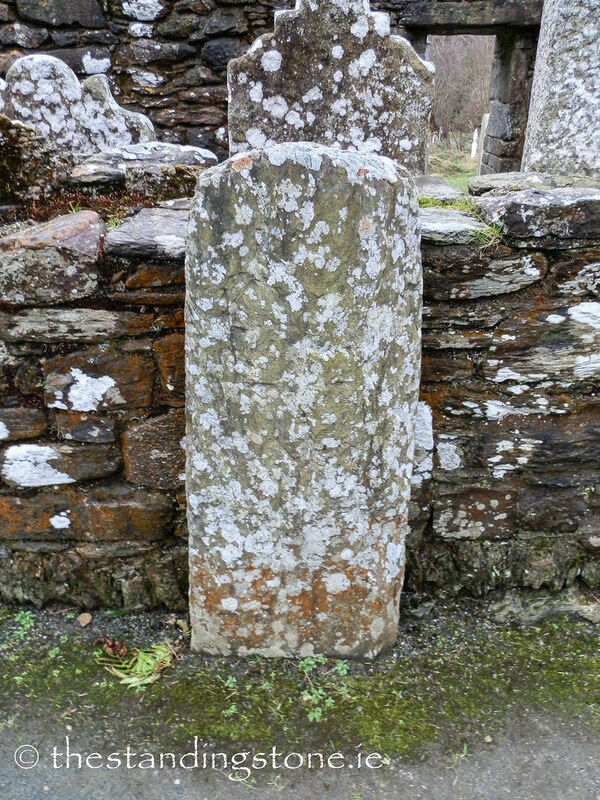 Difficulty – Very easy to get to and to find as it sits within the main graveyard. 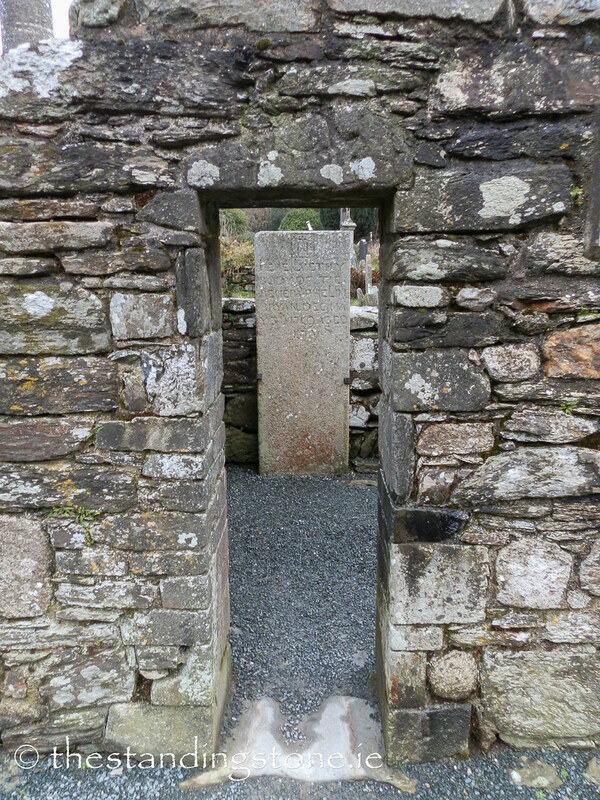 Gravestones blocking the path to the Priest's House. 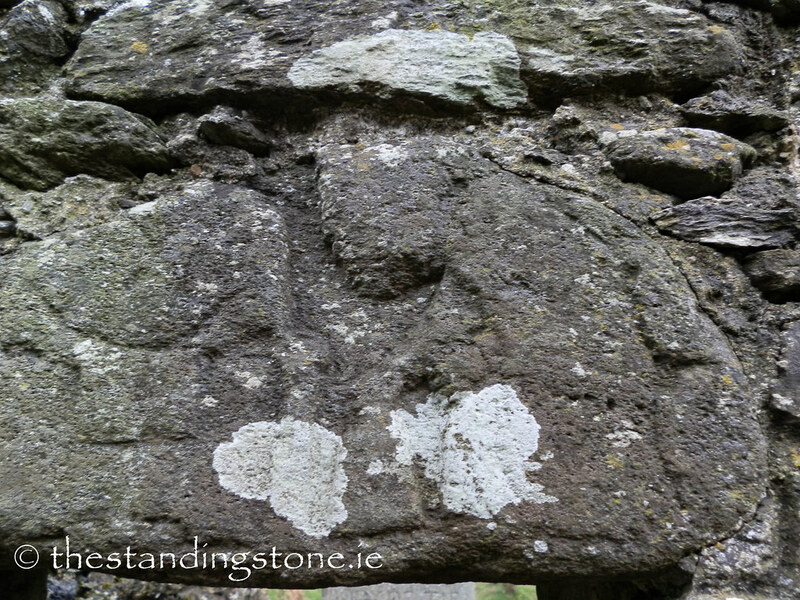 The intriguing carving above the door. 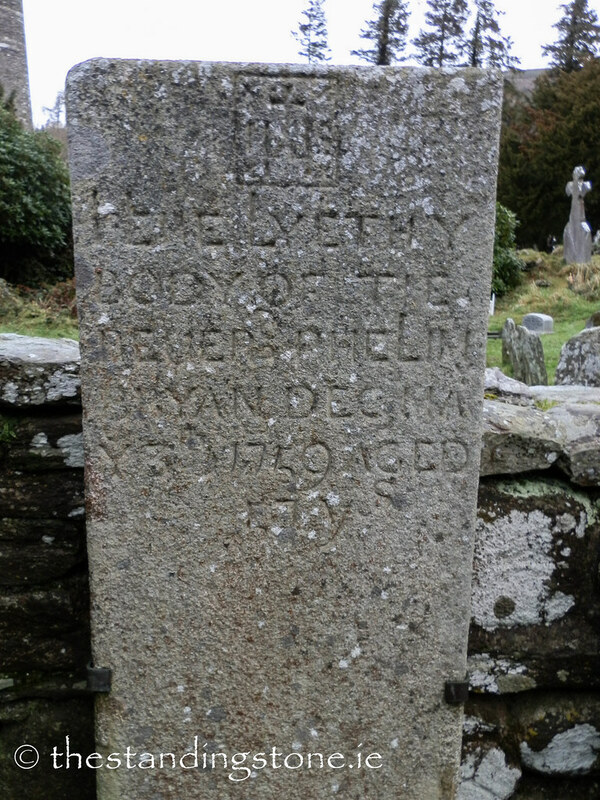 The grave stone of one of the priest's buried here. 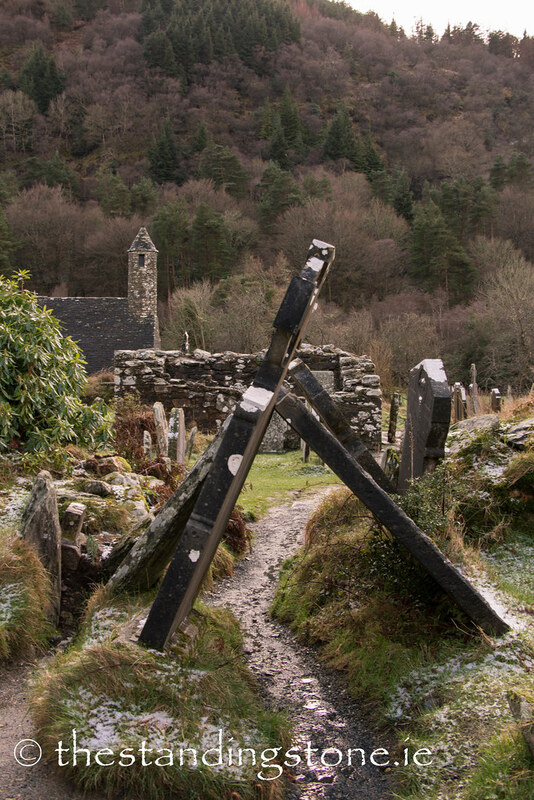 Dotted all over Glendalough are an array of gravemarkers. 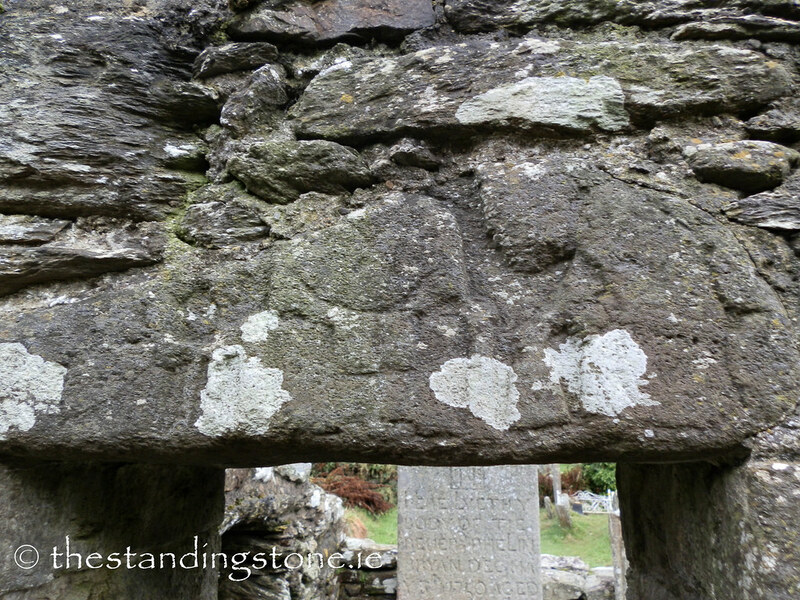 Some of these are undoubtedly centuries old. 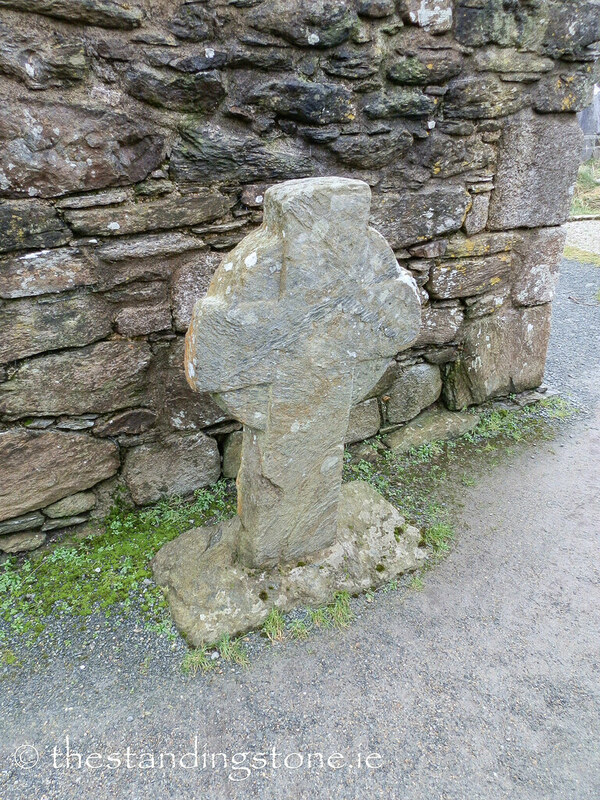 An interesting little cross that I'd love to know more about.